I have great desire to see the Dalai Lama in person before I die. Sometimes my desire to see him is so great that it brings me to tears when I discover that he is going to be in another state speaking and I will not be able to attend. I didn’t see him last time he came to the west coast. I didn’t see him when he came to Washington D.C. for the Kalachakra for World Peace. Several months ago I discovered that the Dalai Lama would be speaking in Colorado this October. 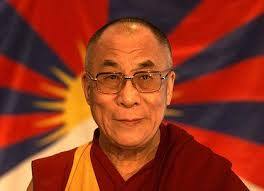 Compassion in Action: The Colorado Teachings of His Holiness the Fourteenth Dalai Lama. This will occur October 20-21 and includes a festival of Tibet. There is a Tibetan Association of Colorado and many Tibetans live there in exile. I decided it was time to go see him speak to fulfill my desire. We bought plane tickets ahead of time to get a good price. Ticket sales to see the Dalai Lama started a few weeks later. The web site was so saturated with people who shared my desire that most tickets were sold after about half an hour and the website crashed. I didn’t try to get tickets until I got home from work. The all day tickets were all sold out by then. The website notified us that more tickets would be available the following week. I was upset but accepted the fact that I may not get tickets. I even thought maybe I am not meant to see him this time. Maybe there are others who need to see him more than I do. The next week I set my alarm to get up early and be ready to buy tickets. The website was unavailable most of the first hour but eventually I was able to get on the site. I tried to get tickets. I tried every possible ticket combination for seat locations and time of day. The ticket site kept telling me it was sorry but was unable to find tickets. Later in the evening the website notified us that it had crashed again that morning (even after updating the server or whatever) due to overwhelming demand. Tickets were all gone but a few in limited view remained. I tried to get them. They were gone. So many of us want to see him…we desire to see him so much that we kept crashing the website trying to get on and get the tickets. We may suffer in our desire as it will not be fulfilled. The website suggested we consider ourselves honored to be among those who want to see him. I can hear, read and know the message of the Dalai Lama without seeing him with my own eyes and hearing him with my own ears and being in the same room with him. I know that truth is truth even if I never get to see him. I should be happy for those who are fortunate enough to see him…to those lucky enough to make it through the crashed websites to get tickets. Luck of the draw, really. Or is it fate? I do still desire to see him. Strangely, it is a calm desire. I am not even freaking out. I accept the things I cannot change (sometimes). We will still go to Colorado. Between now and then I will keep searching for tickets. I accept that it is not likely I will find tickets. I will be happy to go visit a new place and meet new friends. I will be happy to be in the same area with the Dalai Lama. I wonder if he will walk by so we can just see him? I wonder if I reach out my hand and touch his gown, will I be healed? I am not saying he is divine necessarily but, he has such compassion that it must just pour out of him. My desire is that maybe if I see him I will become more compassionate – that something inside me will change because it will recognize the thing inside him. This entry was posted in waxing philosophical and tagged bucket list, Buddhism, Buddhist teaching, Colorado, compassion, Dalai Lama, desire, fate, spirituality, suffering, tickets. Bookmark the permalink.